Last Day of the Mayan Calendar and you need a Quickie. So who knows what today really brings as the Mayans hard work comes to an end. But I imagine somewhere and some how, life will go on procreating. But, lets just say you need some help in the lubrication department and your partner is allergic or sensitive to consumer products. I recommend this anyway; it’s a natural, olive oil. Olive oil can be used safely for him and her a like. It’s got anti-fungal and anti-bacteria properties, it’s all natural with no synthetic chemicals and most important it’s slippery. So put olive oil to use in places other than the kitchen. If you have an allergy to olives, almond, sesame, or coconut could work too, but most of those have a higher percentage of allergy sufferers than olive oil, so know yours and your partners allergies before you practice procreation. Never Miss a Tip, when you download TipsfromTia.com Toolbar for Free! Have a tip you want to share? Tip in action? Send your photo. Stupid Tip no one should do? Hurricanes, Extra Tips the News Doesn’t Tell You. Major weather is hitting the east coast. Hurricanes are making their presence known in all states east of the Mississippi. I know you’re getting flooded (literately) from the news stations, with tips to stay safe, but here are a few safety tips you should use when facing a major weather crisis no matter where you are in the world. If it’s a mandatory evacuation, do it. You can only protect your stuff to a certain point. Make sure in the car you have packed all your necessities you will need for at least a week. You never know if you’ll need them or not, but it’s best to have more than less. Take a roll of toilet paper and paper towels to keep in the car, you never know when you’ll need them. Bring food. It may take hours to get where you are going and stopping for a bite to eat may not be an option. Bring games, easy ones of course. If you have kids, make sure you have games for them and for you as well. Remember, frustrations can get high in evacuation settings, so be sure to instruct the kids on keeping noise levels down and refrain from arguing, as well as assuring them that there is presently no danger. You don’t want them to panic silently if they see you’re chafed. If you don’t have to leave; I’m sure you’ve heard all the important things needed to keep close and dry. Like flashlights, batteries, radio, insurance papers (keep in a large freezer bag) and bottled water. Here are a few more tips the news hasn’t mentioned and you may not have thought of; keep lighters in a location where they will stay dry and are easy to find, but also get books of matches. This is good to have in case the lighters get wet or lose fluid. Dip the match head and strike strip in hot wax. (Blow out the candle before dipping the book of matches, you don’t want it to ignite the matches by accident.) This will waterproof the matches. Next tip, fill the bathtub with water. This is good if for any reason the water in source becomes contaminated or you need power for your water supply. This water can be used to flush toilets, clean clothes, wash dishes etc. Keep a small bucket next to the tub to transport water to another area to do such things, keep the tub water clean for as long as you can. And last but probably important, while still with power, keep your cell phone on the charge. You don’t want to lose power and have less than half battery life in the middle of the storm. Stay safe and may she not leave behind too much of a mess for all those she comes to visit. How to Start Going Green and Start Being Organic. Well, going “green” is pretty easy. You can start with baby steps. Recycling your trash is a great start. 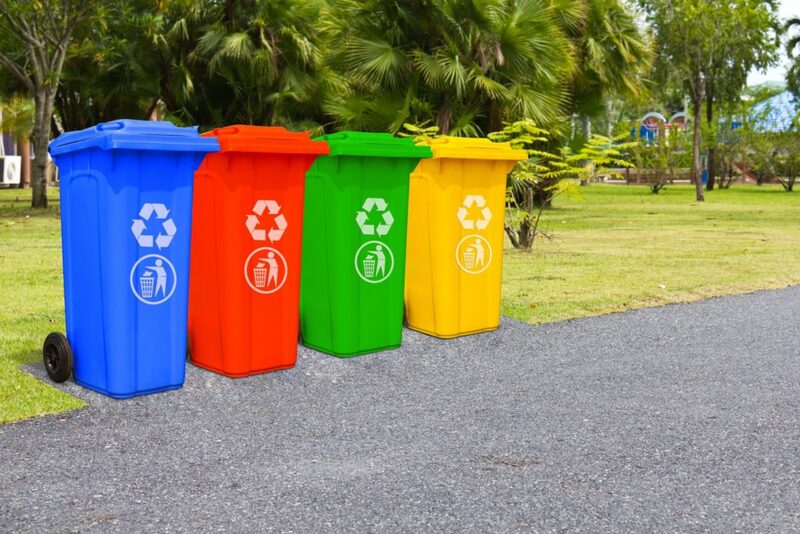 Some areas will pay you to recycle, some will charge you and some areas are now mandatory to separate your trash from recycling. In a lot of areas you can just throw all recyclables into one can, so its simple. Some people like to go completely “green”, which can be difficult for others. Being completely organic can be a challenge for some people and can be a bit more expensive if you are living on a strict budget. The best part is, any little lifestyle difference you make can be an improvement to you and your environment. Your best bet, if you and your girlfriend are under the same roof, is to find out what you are both capable of committing too with improving your life and home. participates in. For example, if your girlfriend is a vegetarian and you’re not, that’s okay as long as you respect each others decision, and not be-little each other for your differences. Eat meals together, with regard to one another’s dietary choices. If she feels the need to separate all the plastic, paper and glass, and you don’t have time to care, come up with a system like having a pile that you put all those things in, and that allows her to feel you respect her decision in what she is doing and not neglecting her feelings in what she feels is important. As I said, it’s easy for some and difficult for others, but if you know what to expect from each other, it can help in sticking with your environment change. before you know it. Peroxide is the best for killing mold in places like the shower. Get a spray bottle add straight peroxide or you can water it down, and just spray down your tub and shower. It will leave it clean; some scrubbing may be necessary. Several products I recommend essential in every house whether you want to be considered “green”, organic or none of thee above, besides vinegar and peroxide, is cornstarch, rubbing alcohol, olive oil and peanut butter. It’s a start up kit to a lot of tips I’ll provide later. Those products can get a lot of jobs done with the reduction of harsh chemicals in your environment or just make life simple. Be sure to keep reading Tips from Tia; I’ll try give you the “green”est organic way to get the job done.